The Asobu TRIUMPH SPORT HYDRATION Water BOTTLE is the number one choice for the sports lover and athlete. Sometimes a simple light weight bottle is all that you need for that Camping hiking or any outdoor activities. With theTritan soft construction and at 24oz this bottle is the perfect sports accessory for an indoor gym or outdoor race track. The free form spout gives you quick access to the drink of your choice so you can keep your triumph bottle filled and drink in comfort. 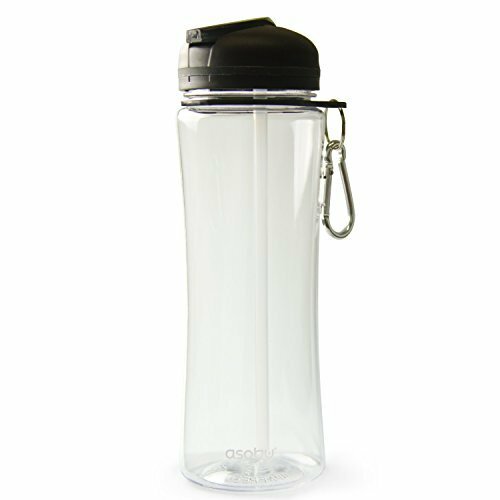 The virtually indestructible exterior will ensure you keep this bottle for years to come even with vigorous usage. Take that hike you dreamed of, climb that mountain, go kayaking the sky's the limit when it comes to outdoor activities just be sure to take this Triumph sports bottle along to ensure an enjoyable experience. Features a free flow innovative spout for the easy access to your water for a quick hydration.